Simple, flexible & tailor made: you can access one or several services of the Booster Track. Free of charge: we support your travel expenses! We love diversity: teams at least one woman co-founder and/or young talents are most welcome! Upon selection: entrepreneurs and start-ups will be matched to the adequate services according to their needs, profile and availability. The Start-up Booster Track is a flexible support programme for entrepreneurs in the MENA region with the aim of supporting them to bridge with key markets. It started in 2018 and is composed of several services that help entrepreneurs through their journey. Start-ups need to be established in one the following countries: Algeria, Egypt, Jordan, Lebanon, Morocco, Palestine, Tunisia. 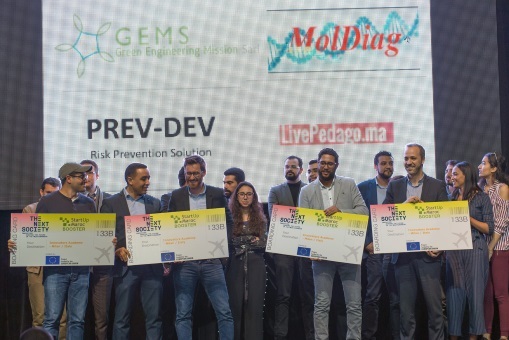 Entrepreneurs need to be able to pitch in English (support services are delivered in English, except the Entrepreneurs Mentoring Programme which can also be delivered in French in Algeria, Morocco and Tunisia).